One of the American giants of the early 20th century, Roosevelt was an author, a rancher, a naturalist, a big game hunter, a soldier, New York City police commissioner, navy secretary, governor of New York, political reformer, vice president, and, from 1901 to 1909, president of the United States. When he entered the Oval Office in 1901 upon the assassination of William McKinley, he expanded the powers of the chief executive and the federal government, championed government intervention for the public interest, favored the rights of labor over big business, fought the “trusts” (monopolistic business practices), championed the Pure Food and Drug Act of 1903, and transformed the nation into a major world power. 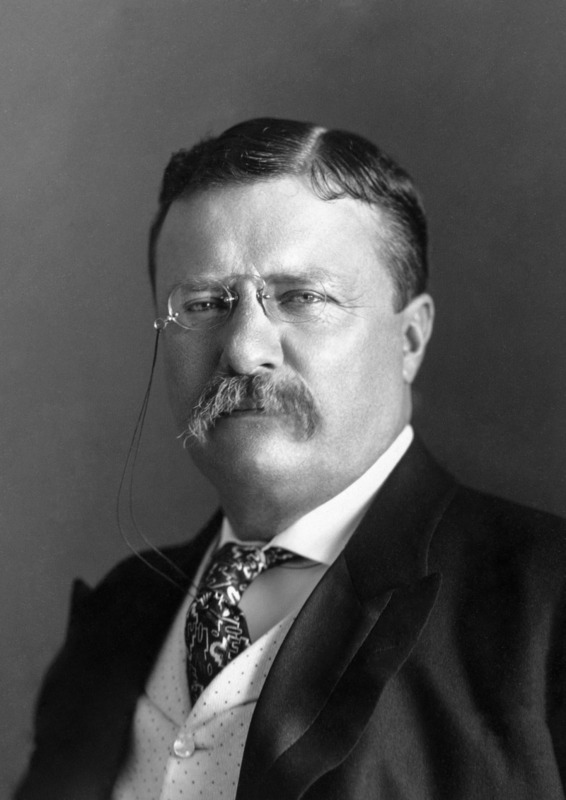 An ardent conservationist, TR created the National Park system. He initiated construction of the Panama Canal, and was awarded the Nobel Prize for Peace in 1906 for his role in mediating an end to the Russo-Japanese War.